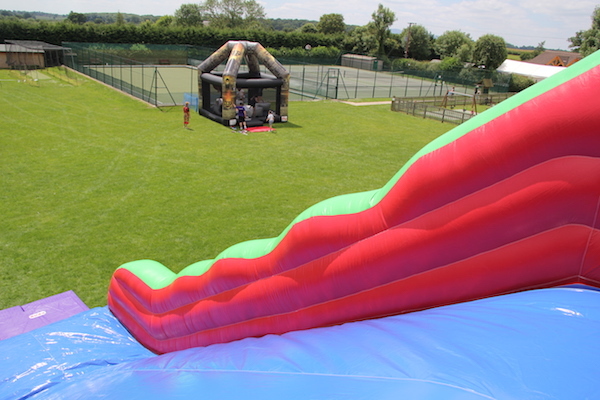 Our fabulous event slide is absolutely huge standing 25ft tall! 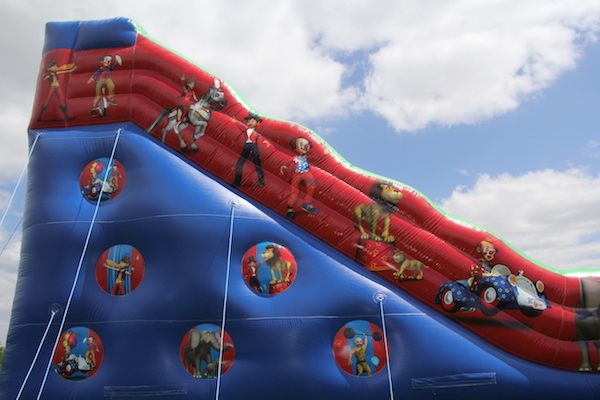 It is decorated in a circus theme and will provide serious fun for children, teens and adults. 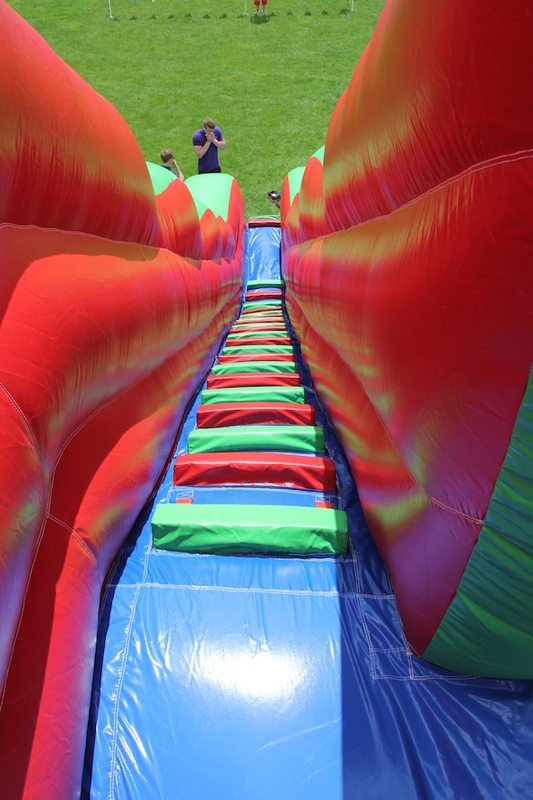 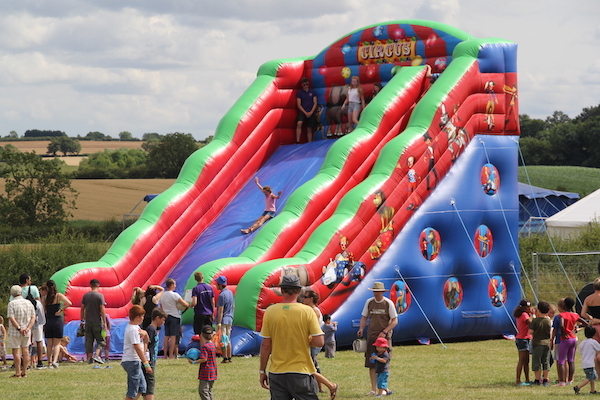 For real impact and a wow factor at your corporate event, fete or family fun day, our enormous event slide is a must hire. 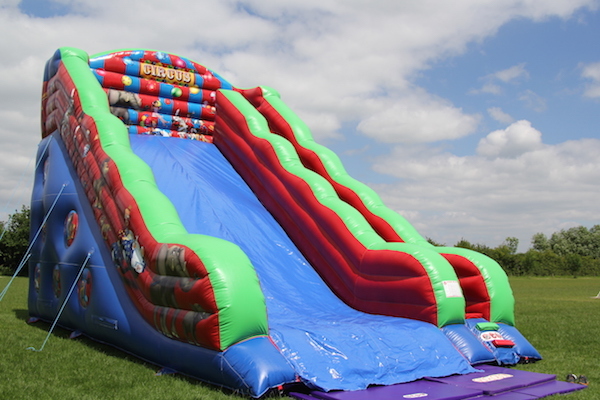 It will stand out amongst the other activities and is virtually sure to be the tallest piece of equipment at your event. 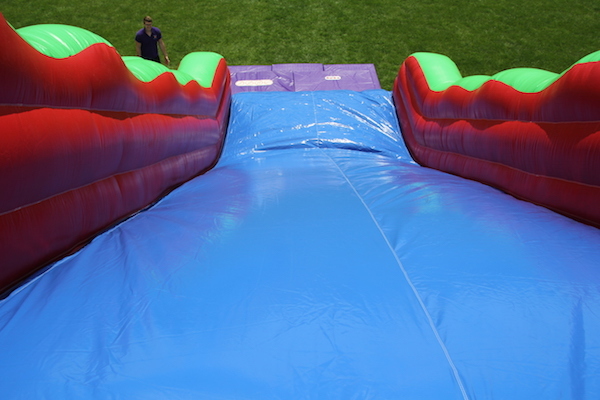 The view from the top of this slide is amazing. 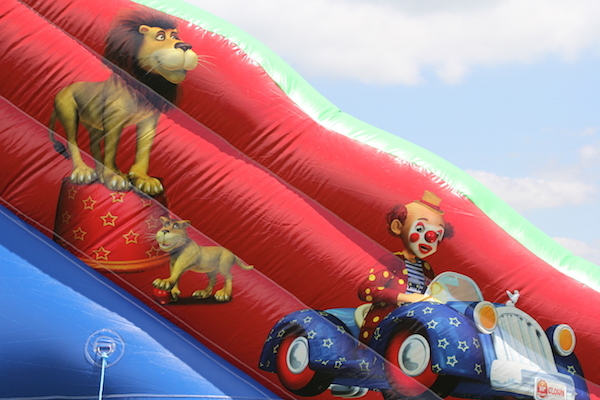 This is a fast moving inflatable so it is an ideal hire choice if you are looking to fundraise for charity or school funds. 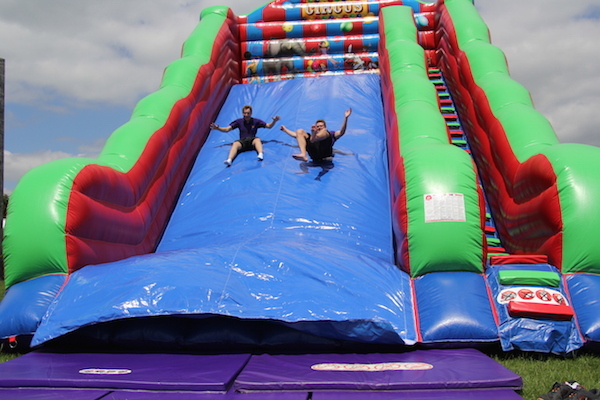 Our event slide will be supervised by 2 members of our staff who will ensure its smooth running for the duration of the hire. 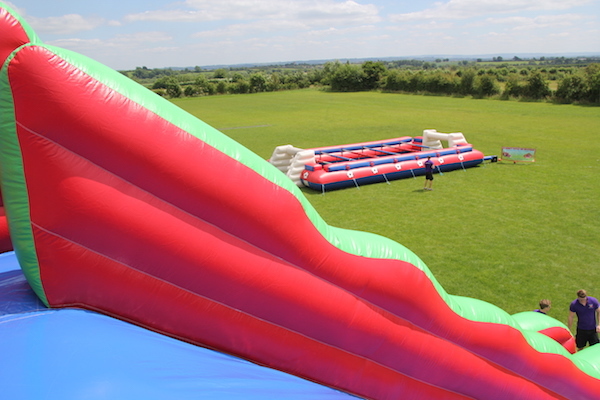 Due to the sheer size and weight of this event slide, vehicle access to where it is to be sited is essential. 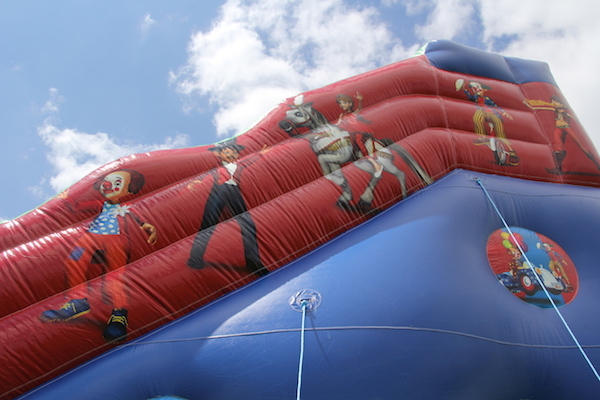 Should mains power not be available nearby, we can supply a diesel generator to power it at an extra cost. 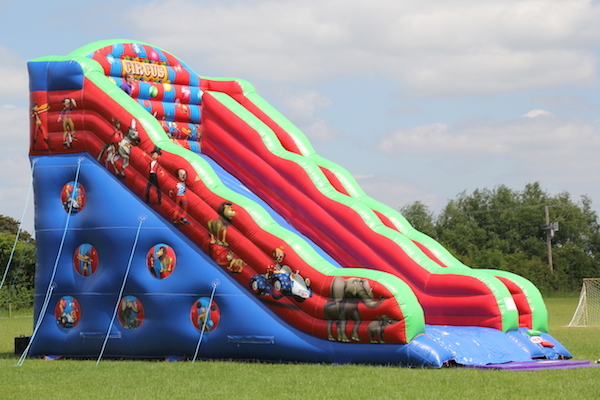 If you are concerned this huge slide will be too daunting for younger children, then why not also hire our matching Circus Bounce and Slide or Circus Fun Run. 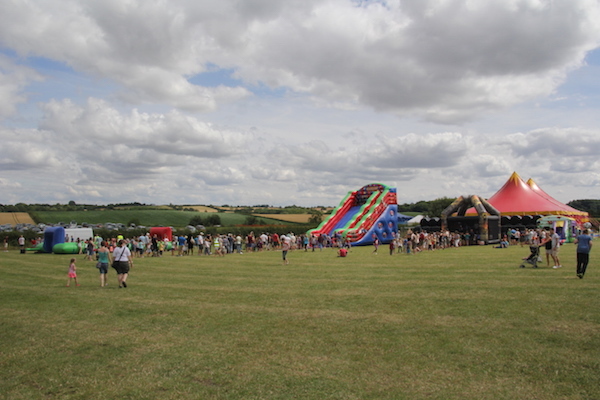 You will then truly have all the fun of the fair!